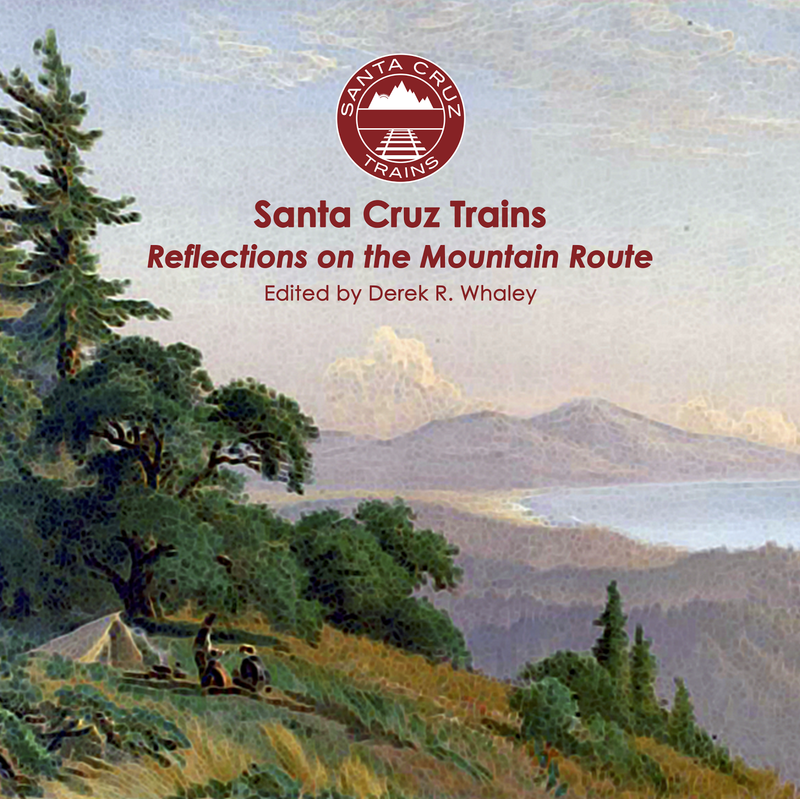 The seven-mile-long railroad route between Felton and Boulder Creek hosted a surprising number of stations over the fifty years that the branch line existed. An early stop, established in 1890, was Kent's Spur, located only a mile north of Felton. Brothers James Edgar and Lewis Alphonse Kent were lumbermen in search of timber. 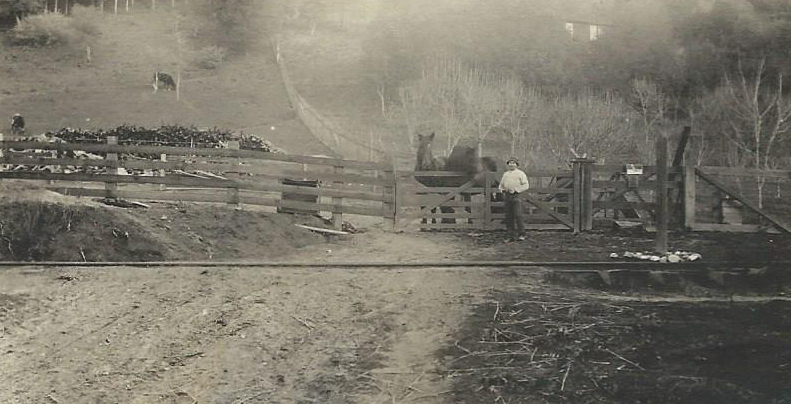 In 1889, they purchased a tract of forestland on the east bank of the San Lorenzo River just north of town and soon they asked the railroad to install a spur so they could load flatcars with logs and split stuff. The railroad obliged, although the length, direction, or position of the spur remain a mystery. From the start, the operation at Kent's Spur was small and intended to be short-lived. The Kent brothers finished harvesting the land in 1893, after which the stop disappeared from station books. 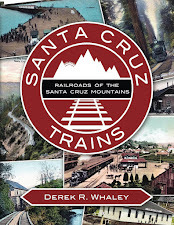 Half the land was sold to Silas H. Baker, and Baker picked up the other half two years later after the Kents' homes were destroyed in a fire and they moved to Santa Cruz. 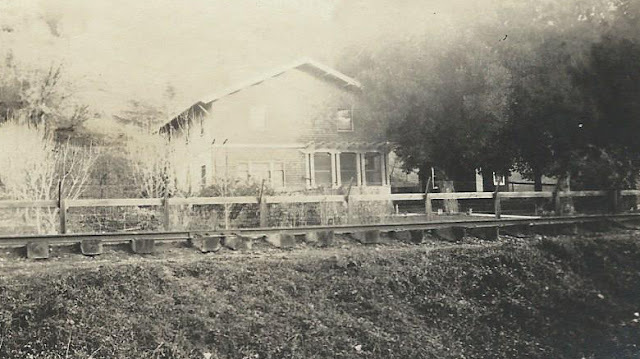 Around 1901, the Bakers sold the land to Ida E. Rountree, a major property owner in the area, who in turn sold a large portion of it to Phebe Abbot Rideout in 1906. Rideout founded the Rose Acres Ranch at the site and operated it until 1932. 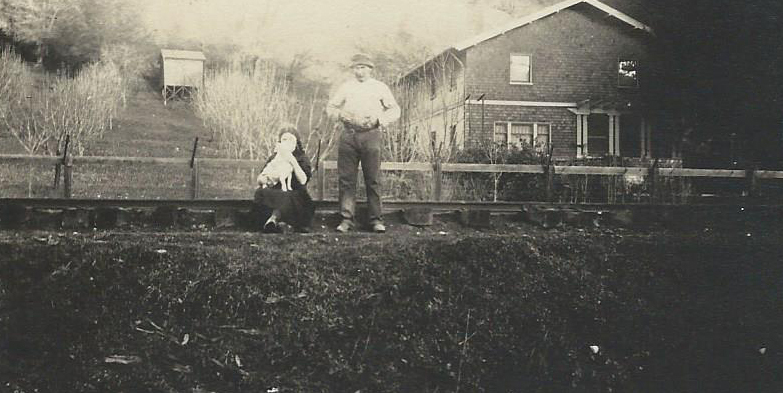 On the remainder of Rountree's land, between the railroad tracks and the river, a tiny subdivision was developed in 1912 named Bonny Brae, a companion to the Brookside subdivision across the river. The name Bonny Brae played on the Scottish theme of the San Lorenzo Valley and simply meant "pretty hillside" in Scotch English. 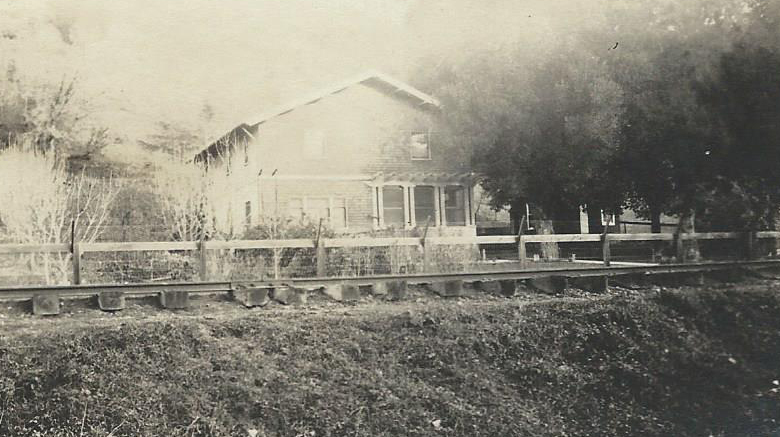 The property developers convinced the Southern Pacific Railroad to provide passenger access to Bonny Brae and Brookside and the railroad once again obliged, establishing Bonny Brae Station in 1913. The location was only ever a flag-stop and how much it was used is open to debate. There were only around a dozen parcels plotted out along the tracks here, with two dozen more across the river. Like many other stops along the branch, there was no station shelter or platform at Bonny Brae, just a sign beside the tracks. Unfortunately, no photographs survive of the station. Bonny Brae lingered on railroad timetables until the end of the Boulder Creek Branch in January 1934, although passenger service ceased no later than December 28, 1930. The right-of-way became Rose Acres Lane, although San Lorenzo Way remained in place to cater to the homes of the Bonny Brae subdivision. Rideout Ranch was purchased by George Knight who turned it into Rose Acres Dude Ranch & Riding Stables in 1937. At the northern end of Rose Acres Lane, Ron Ballauf purchased half of the Rideout property to establish Rose Acres Farm, which still grows Douglas fir trees for Christmas today. The housing subdivisions that prompted the establishment of Bonny Brae flag-stop remain on either side of the San Lorenzo River, sandwiched between California State Route 9 and San Lorenzo Way (accessible via an aging 1912 bridge). The southern end of Rideout Ranch is now called Daybreak Camp while the northern end is still owned by the Ballauf family. shows only bus service between Felton and Boulder Creek. discontinued prior to this date is uncertain. Sept 1921 - One freight three times a week to deliver to Pajaro yard only. Of greater interest: the short track over the Felton Bridge and into town was necessary due to the standard-gauging. I wonder what blocked the use of the old line? It breaks my heart that they let that Right of Way up the San Lorenzo be sold off and broken up. Hwy 9 is already beyond capacity and there’s no alternate route up the valley.